These healthy eco-friendly kitchen gadgets and appliances will save energy. Would you like to cut your electric bill every month? 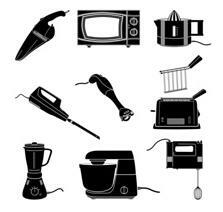 If you’re like me, you have drawers and kitchen cabinets full of gadgets and small appliances. In an effort to pare down and conserve energy, resources and cash, which of these energy sucking kitchen wonders should you ditch (donate away) and which should stay? First, let’s consider at the materials and resources that use energy to prepare a meal. While the term “cookprint” is often used to remind us to eat more plant-based, locally grown and sustainable food, it also represents which appliances and gadgets to cook with. Consumer Reports chose “cookprint” as a top buzzword to describe the energy needed to prepare the food we eat. OK, it’s early in the morning and it’s awfully easy to plug in the coffee grinder to pulverize fresh beans. Just think how much faster you’ll wake up if you have to do it yourself. Bodum makes preparing and drinking coffee a stylish experience. Check out their hand-crank coffee-grinding beauty. Jaymi has written about electric can openers before and she makes the important point that, “Electric can openers are handy but they don’t save time or effort when compared to a quality manual can opener.” Classic swing-away can openers get the job done. My mom’s generation swears that the electric knife must come out when the Thanksgiving turkey is ready to curve. But really, why use an electric one when a nice sharp knife can do the same job? Try a hand-held knife sharpener and a good knife. Are you surprised to find an electric juicer on the list? This is an easy switch that won’t screw up your healthy juice regimen. Hand-held juicers require a little muscle, but they produce big energy savings. Here are some hand-held juicers to choose from. An electric stick immersion blender has a single mixer attachment, so to make something like whipping cream, a hand-held mixer is your best bet. The old fashioned, quiet hand mixer works like a dream. Often you can find these in antique stores with wooden handles. Although rice cookers use electricity, they are an eco-friendly alternative to firing up your stove to make rice. Finding a rice cooker with a stainless steel–not “non-stick”–insert is the healthiest choice, because most “non-stick” pots are made with Teflon or aluminum. Teflon contains PBDE, a prevalent contaminant known to cause to the human body and the environment. Here are a bunch of rice cookers with stainless steel inserts. These grills are inexpensive and an energy-saving solution to turning on a stove when you want to just make, say, a grilled cheese sandwich. Be aware that George Foreman and similar grills can be coated with Teflon. What’s an eco-cook to do? Get a stainless steel countertop grill. The same advice applies for waffle irons as grill pans, especially if you eat waffles often. We have an old, old cast iron waffle iron that makes the best waffles. If you can’t score one of those, I would suggest finding a secondhand waffle iron with cast iron inserts. Again, the older “historical technology,” does a fine job. TreeHugger posted on a hand crank travel mixer, and here are some other crank blenders. A mortar and pestle can be a manual food processor. It’s been used for centuries to make everything from ground spices to mayonnaise. The mortar and pestle’s best feature: It will never require replacement parts. Are you seeing a trend here? The oldies-but-goodies are making a strong comeback. And making these small changes can significantly lower your cookprint. Tonight, you can vote with your remote for a clean energy future. The race to switch to low-carbon energy in time to stop global warming has begun, and the Discovery Channel brings the green energy revolution to life as never before in tonight’s one-hour special, Earth: The Sequel. And it airs tonight at 10pm EDT. You can watch a short trailer here. Earth: The Sequal is based on EDF President Fred Krupp’s best-selling book by the same title. The show’s inspiring and hopeful message is that we really are on the cusp of unleashing a green energy future. But, we need a national cap on global warming pollution to accelerate the pace of transformation. Discovery wil be tracking how many people watch this inspiring look at the creative people who are busy reinventing energy. The more of us who watch, the more likely Discovery will be to air the show again, and on other channels within their network — reaching even more people with this crucial and hopeful message about our future. So please join the EDF family this evening in sharing an important hour of television. And forward this email on to friends and family to encourage them to watch. Thanks for your activism and support! P.S. The revised paperback edition of Earth: The Sequel is now available online. Please order your copy today for a detailed account of how our green energy future is being invented and built today. Some of the most effective measures for Repowering America in the economic recovery package are coming under attack. And when the Senate votes as early as later today, we know one of your senators — among just a handful — will cast a crucial vote. Will you take a minute and call your senator now? There is no time to waste. Investments in clean energy are some of the most effective ones our country can be making now. But there have been surprising attacks in the national news. One senator questioned a measure in the stimulus that upgrades federal government buildings, even though these upgrades will reduce the energy bill of the biggest energy consumer in the nation (a bill taxpayers pick up). A different senator recently argued that the recovery should invest more in dirty fossil fuels like oil and gas — even though investments in renewable energy projects create three to five times as many jobs as ones in fossil fuels. These attacks are picking up. As a Florida resident, you — more than We Campaign members in most other states — have the ability to defend the measures that will help keep Repower America in the recovery. Take a moment, and make a call today. P.S. Please forward this message to everyone you know who shares your concern for getting our country back on track.